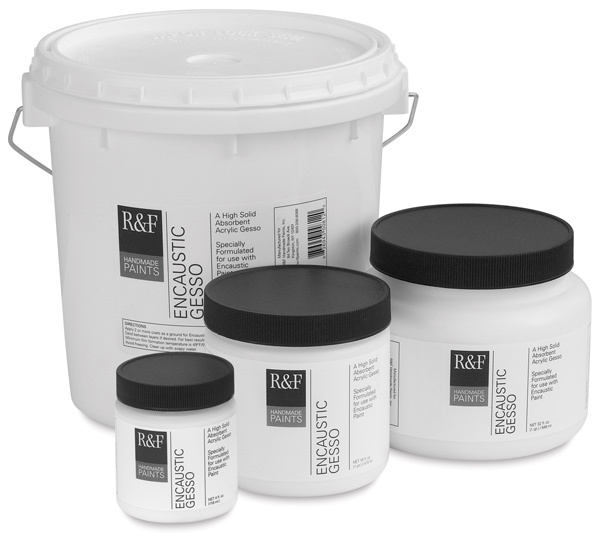 R&F Encaustic Gesso is a waterbased, non-toxic ground for encaustic painting. It is non-yellowing, flexible, non-cracking and sandable to a smooth, clean, absorbent surface. It cleans up easily with soap and water.